You already know how important your year-end appeals are to your annual fundraising efforts. These statistics confirm how crucial your year-end appeals are to engaging your current donors and getting new supporters to follow your cause. Are you doing everything you can to maximize giving? 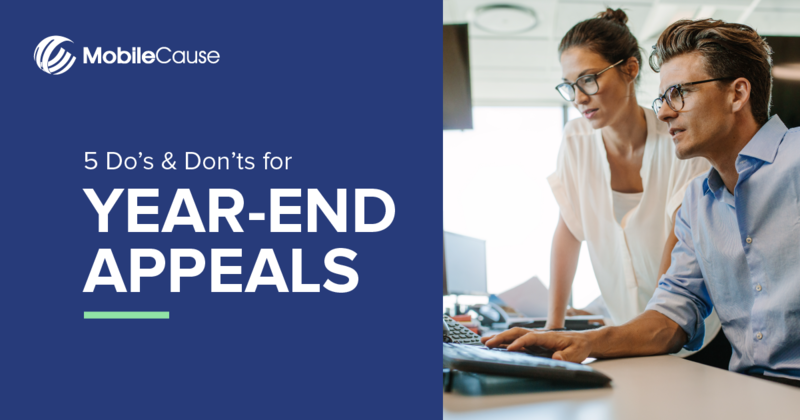 Download our 5 Do’s and Don’ts for Year-End Appeals infographic to help you achieve maximum results during this giving season.